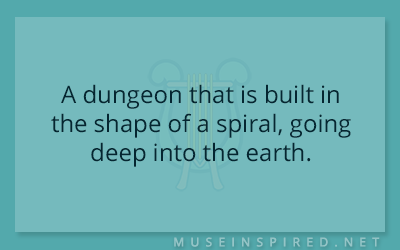 Siring Settings – A dungeon that is built in the shape of a spiral, going deep into the earth. Describe the Setting - An inn of ill repute. Siring Settings - The bedroom with glass walls. Siring Settings - An old theatre house adorned with knight's helmets.